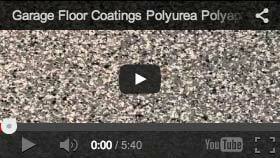 Sealing coating systems involve one or more coats of the Eco-CorFlex Industrial Sealer. This industrial 2-component, UV-stable, chemical resistant coating acts like a sealer but requires a one-time application only. Customers will avoid the need to re-seal year-after-year. This sealer may be used on multiple surfaces including exposed aggregate, concrete, paver stone and decorative or stamped concrete.